Celebrate your Pregnancy with the blissful London Babymoon Package at the Five-Star Taj 51 Buckingham Gate, near Buckingham Palace. Celebrate your pregnancy at one of London’s most prestigious addresses next to Buckingham Palace. 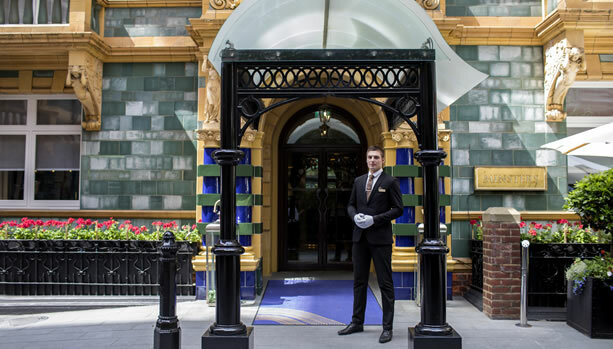 Once the home of Lords and Ladies of the Royal Court, Taj 51 Buckingham Gate welcomes you with some of the most spacious and luxurious accommodation and the finest personal attention in London including butlers and Golden Key concierge service. Pamper yourself at the newly relaunched Jiva Spa to restore your equilibrium of bump and mind. Indulge in the wide range of dining options including the Michelin – starred Quilon and the award-winning Shakespearean Courtyard. 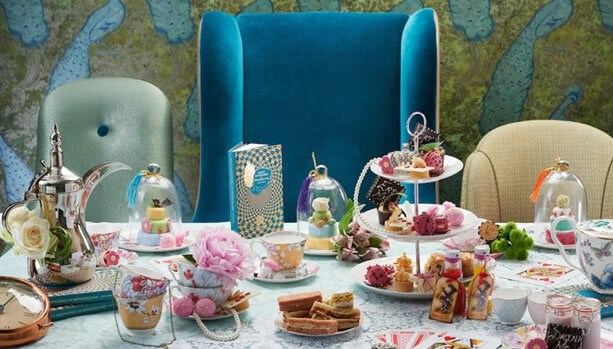 Savour the magical afternoon tea creations of the eponymous Alice Tea Party in Wonderland. Pregnancy is a wonderful time that requires treatments specially designed for you. You will enjoy a full body massage, without the need to lie on your tummy. The specially trained therapists know exactly how to work those sore, tired and aching muscles while you feel completely comfortable and relaxed. The treatment is complete with a face and scalp massage, leaving your skin feeling baby soft all over. You never know, your little bambino might enjoy the sense of calm too! Alice Tea Party In Wonderland will send you down the rabbit hole with a fantastical selection of cakes and pastries inspired by the eponymous book’s characters like ‘Queen of Hearts’ Mango Tarts, ‘Drink Me’ strawberry potion, ‘Caterpillar’s Mushroom’ Raspberry Marshmallows, White Chocolate Mousse Teacups and Pocket Watch macaroons. 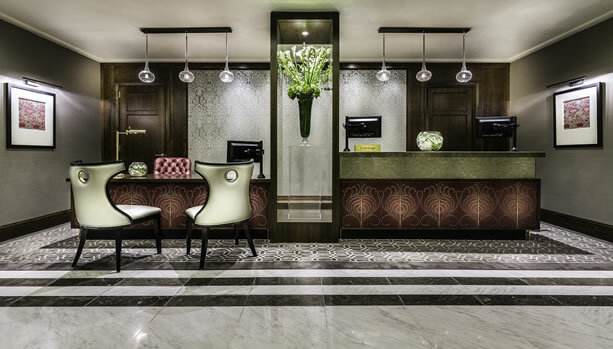 Taj 51 Buckingham Gate is unlike any other 5-star luxury hotel in London. 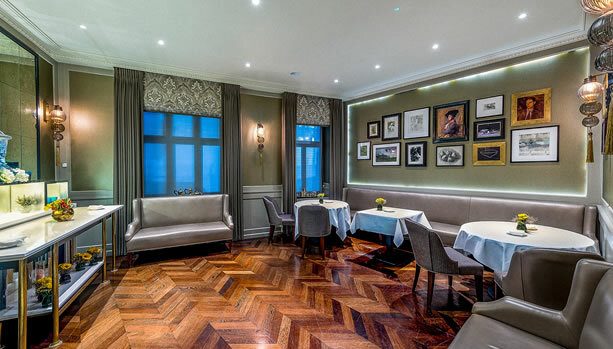 For regular and occasional visitors to the Capital of capitals, the hotel offers a wider choice of suites and residences than almost any other in London, providing guests with more space and more flexibility to accommodate families, state delegations or executives travelling on business. The beautifully designed suites and residences offer between one and six bedrooms, each with expansive living areas to relax or work. Every suite boasts a fully equipped kitchen, providing guests with the choice of in-suite dining or enjoying one of the hotel’s celebrated restaurants, including Michelin-starred Quilon and contemporary European Kona. SIGNATURE SUITES: Taj 51 Buckingham Gate Suites & Residences offers 4 Signature Suites, each combining privacy and comfort with lavish space and sumptuous accommodation. Famous guests appreciate the attention to design and detail, which makes these residences a favourite of monarchs, statesmen and celebrities. With the launch of the brand new Jiva Spa & Fitness Centr on the 1st of December 2018, a selection of new products and treatments are introduced from the world-renowned luxury spa brand, Temple Spa. Taj 51 Buckingham Gate Suites and Residences offers an exceptional range of dining options and bars, each offering unique cuisines and cooking styles. Kona offers an innovative interpretation of the colours, flavours and vibrancy of European cuisine while Bistro has something for everyone with its international favourites; savour the seasons at Bank; and journey to the south-west coast of India at Michelin-starred Quilon. 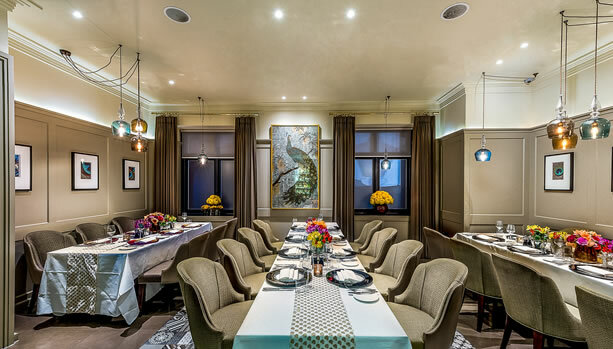 A few moments away in a black cab, the iconic Bombay Brasserie serves the authentic flavours of the subcontinent, transformed into a contemporary gourmet experience. The hotel’s two bars are the perfect place for a cocktail or non-alcoholic mocktail for mum-to-be. The resident pianist at The Hamptons Bar is the harmonious accompaniment to a romantic evening. 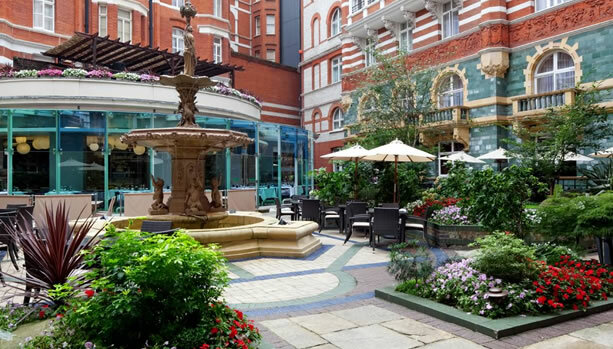 In the summer, St. James’ Courtyard is the place to be, open all day for alfresco dining or seasonal cocktails and mocktails by the fountain. 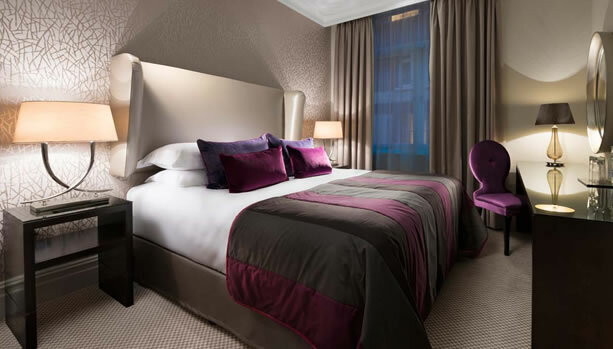 Taj 51 Buckingham Gate Suites and Residences is perfectly located in the heart of royal London SW1. Within walking distance from Buckingham Palace and St. James’s Park while the shops and restaurants of Mayfair and Central London are within a few minutes distance. 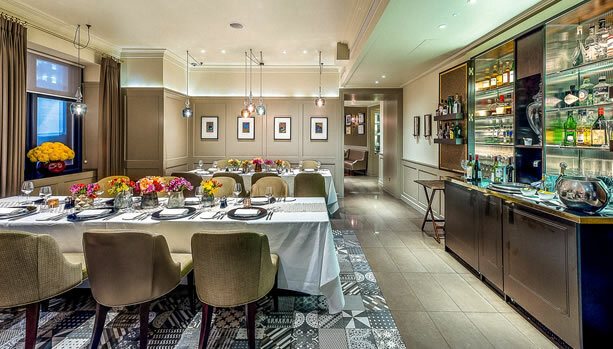 Ready for this unforgettable London Babymoon Package at Taj 51 Buckingham Gate?